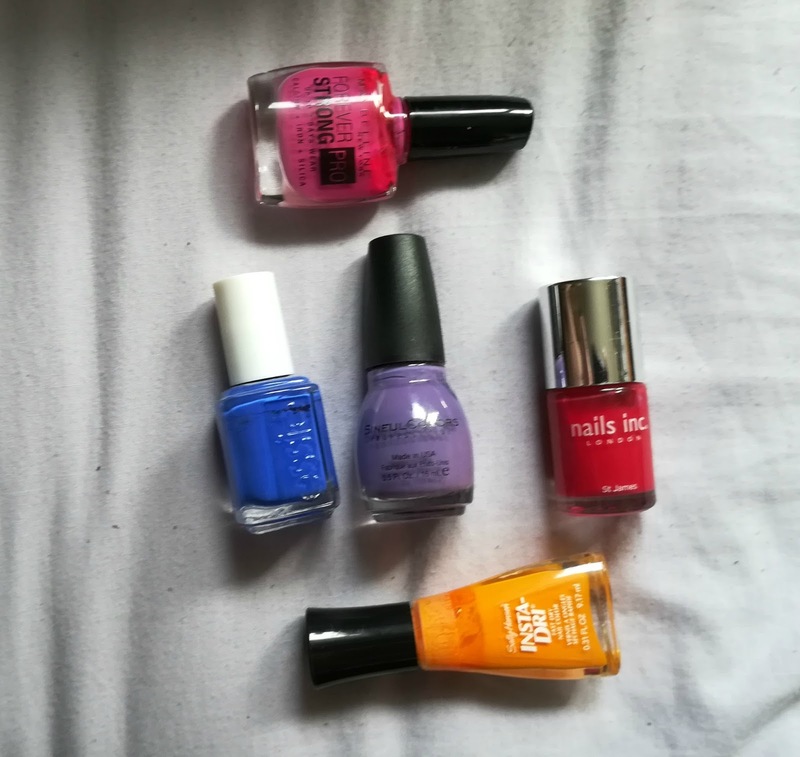 TheDarkeowl: Favourite Nail Polishes for Summer! I love wearing pastel colours in the spring time, I feel it fits in with the atmosphere of the season (as strange as that sounds). In summer time however, I love the bright, fun colours that really stand out and glisten in the sunshine! 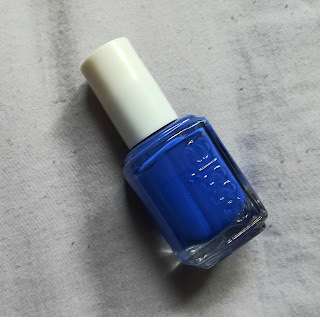 My first favourite for the hotter months is Essie's Butler Please. This is a brilliant bright blue that looks so fun on the nails and definitely catches the eye! It sometimes applies streaky but with a second coat followed by a top coat it looks great and smooth! 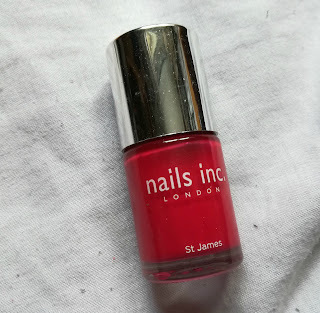 Nails Inc.'s St Ives is a polish I received in a Glossybox way back when I was subscribed. This colour can be pretty much worn throughout the entire year but summer just seems to work perfectly for a bright classic red! One of my favourite brands for nail polish is Sinful Colors. 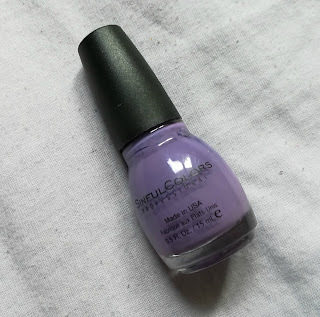 This is their shade Amethyst and I think I can say this is one of my favourite polishes of all time. Although it is more pastel than most other colours on this list, it is still very bold and stands out on the nails. Although it is bold it does still look quite flattering on the nails and could easily be worn for a classy night out! Last up on the list is this bright orange called Man-GO Team! from Sally Hansen. 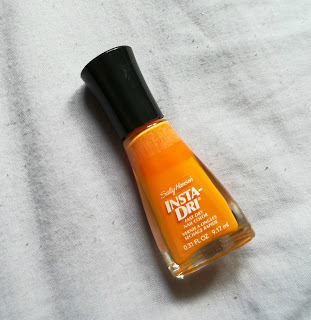 I bought this because I didn't have a bright orange in my collection and wanted it for little accents, but I have ended up using it as a full nail cover because it really works well against my skin tone! I think I bought this pretty cheap from either Poundland or another store that sells items at discount prices. Wherever I got it, it was a bargain and is perfect for the hot months! L to R: Bubble Gum, Butler Please, St Ives, Amethyst, Man-GO Team. So there we have my favourite polishes for the summer! Have you tried any of these polishes? 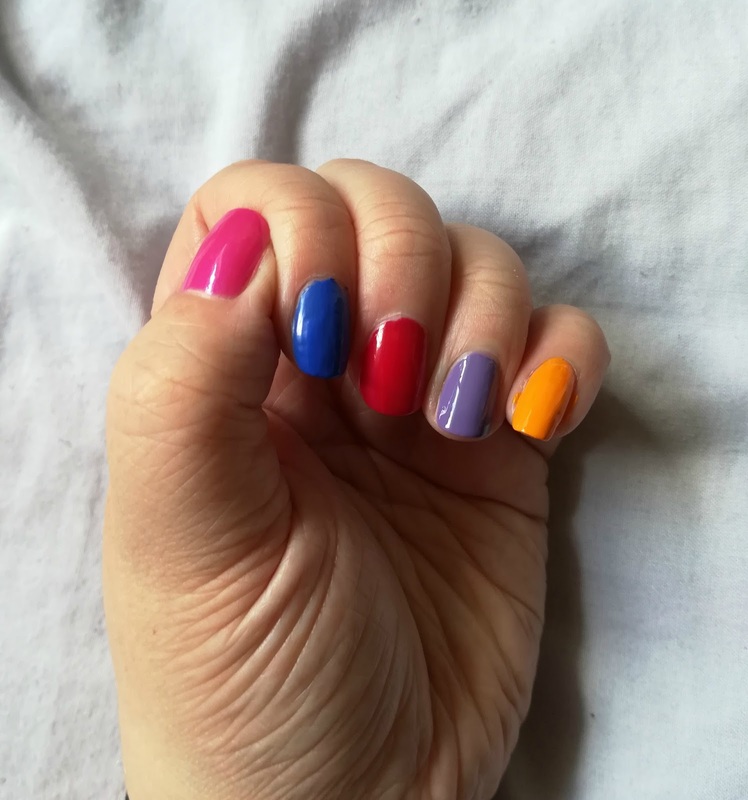 What are your favourite colours for the summer? Let me know!